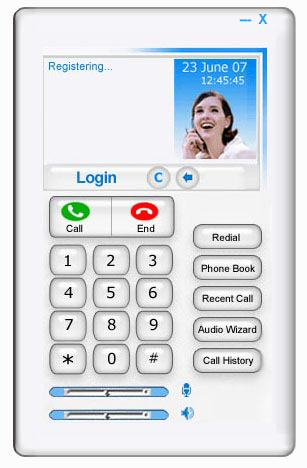 Softphone is called the Software Phone or virtual phone or IP phone or SIP Client. There are many names of softphone. Softphone are basically used in the Voip technology this voip technology is called Voice Over Internet Protocol. VOIP name introduces itself what is does. Voip is technology in which we make and receive the calls internationally on computers as well as on mobile phones or landline phone. Voip useus the SIP technology. Software SIP clients are called the softphones. We call softphone becuase we install a virtual phone in our computer through which we make the calls local and international also on mobile , landline or other SIP phones. (1) Softphone is a software which we need to install in our computer which is connected to the VOIP server. (2) After installing it we need to configure it by giving the Username , Password , Domain Name and Domain Proxy. (3) After giving this useful information to the computer our softphone will send your information to the voip server and voip server would check your information. (4) If your admin information is correct then voip server will respond to the SIP client or softphone to access it. (5) Now you can make the call locally and internationally too. Softphone can make calls and receive calls national and international. Softphone can do the Video conferencing. 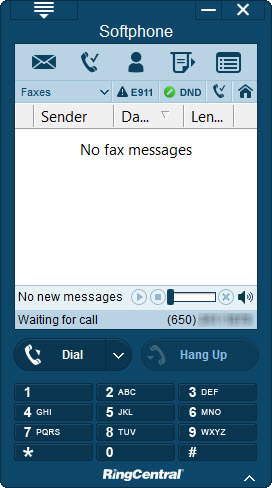 Softphone can also send and receive the voice mails. Google Voice and Skype are the examples of softphones. These two are free of cost services. This was all about the softphones or Voip phones or SIP clients.